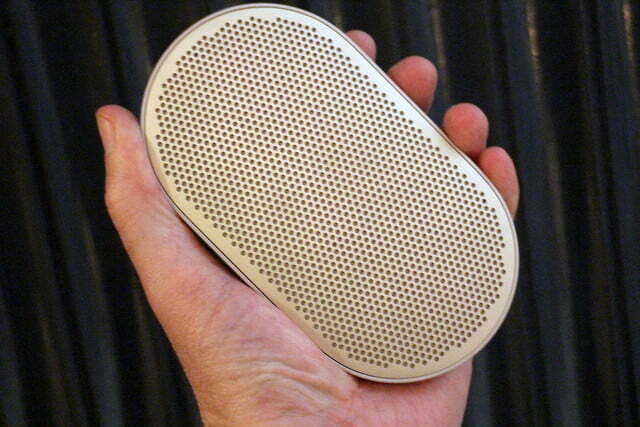 Going into the design process for the new P2 personal Bluetooth speaker, B&O Play told Digital Trends the overriding idea was, “dare to erase,” meaning to strip away everything not considered essential, and then examine those aspects to see what can be removed as well. 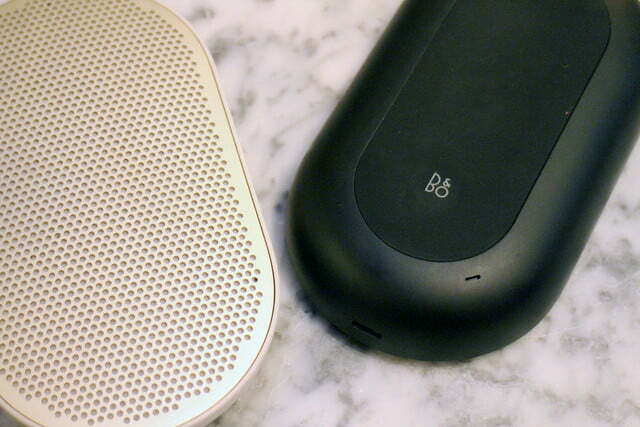 The result is an amazingly sleek portable speaker that keeps B&O Play’s sound quality, and its stylish and mature design ethos; while separating itself from the competition in a new way. Made from anodized aluminum, the P2 has no obvious buttons at all, (although one for Bluetooth pairing is hidden on the underside beneath the B&O logo) and a single USB Type-C connector for charging. It’s minimalist cool taken to the extreme. 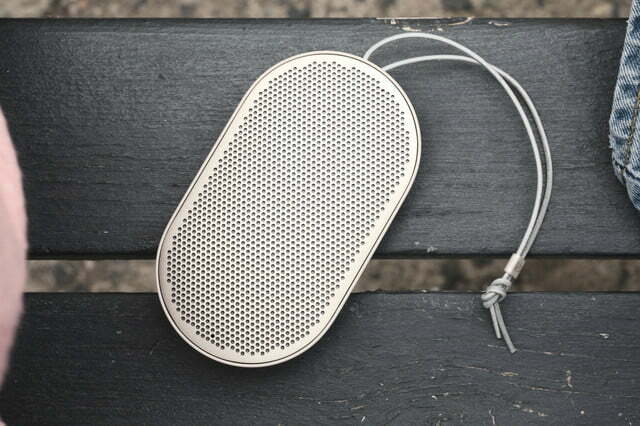 It’s also incredibly light and fits in the palm of your hand, making it easy to slip into your bag, or even into the pocket of your jacket. 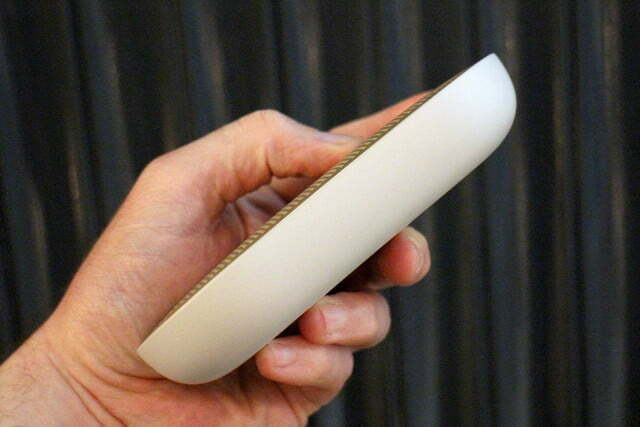 And you control it using gestures, voice, and through the B&O Play app. 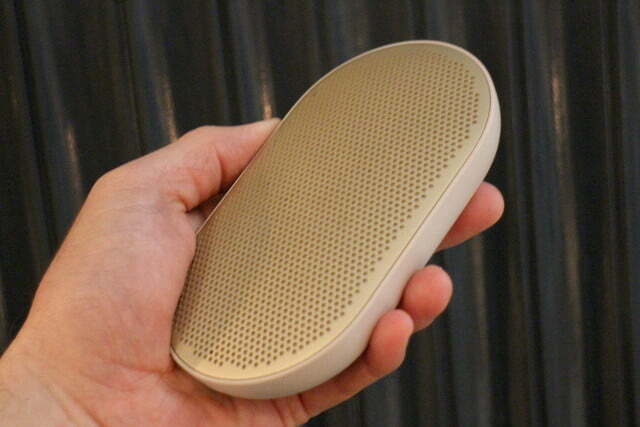 The mesh top of the P2 is touch sensitive. Double tap for play and pause, and trace a circle to adjust the volume. If you’ve used a pair of B&O Play headphones like the H8s or H9s, then you’ll know what to expect. Shake the P2 to shuffle tracks. Alternatively, open the B&O Play app to customize the control system, or chat to Siri or Google Now on your phone instead of using touch. 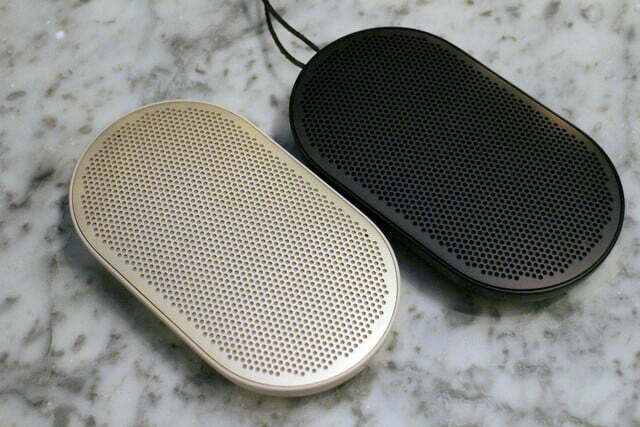 The P2 is easily carried around, so a clever alarm clock function has been added in. 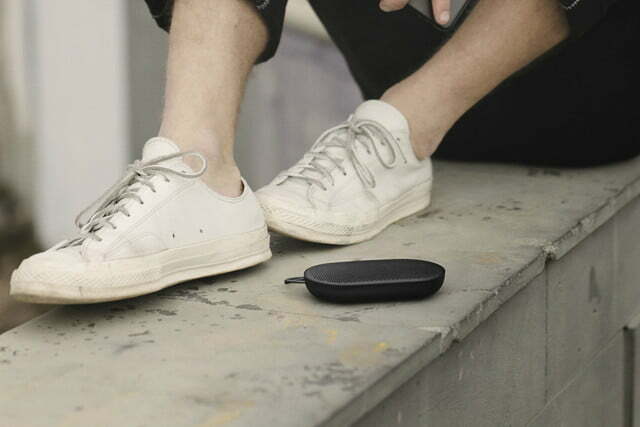 At the desired time, the speaker actually wakes up your phone and starts playing music where it left off the night before. Tap to snooze, or shake the P2 to turn off the alarm. Like the rest of the controls, it’s simple and intuitive. While Digital Trends got to handle an early prototype, we didn’t get to hear it playing. The company promises, “big sound from a small package,” and has two 15-watt Class D amps driving a newly designed mid-woofer evolved from the one found inside the A1 speaker, from which it also takes a three-quarter inch tweeter. 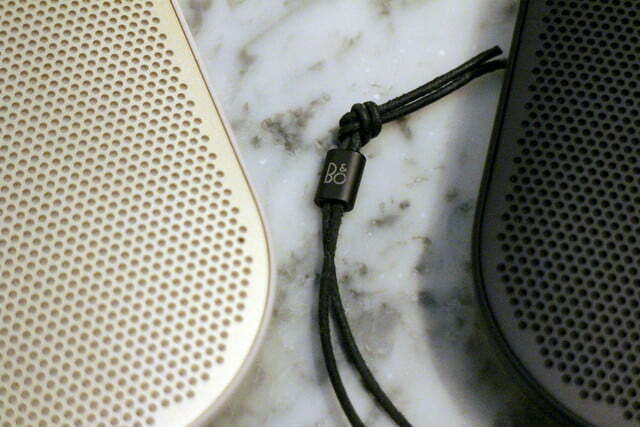 We’re told not to be concerned about getting a great bass response from such a small speaker — the P2 will have the signature B&O Play sound. The battery inside the P2 has a, “beyond standby” mode, where it’s available for about a month, so it won’t need constant attention or recharging every day if you aren’t using it all the time. If you find that once you start, you can’t stop, it’ll keep playing for 12 hours. Completing the P2’s versatile feature list is a 360-degree microphone, so it can be used for group calls with friends. In the future, new features will be added through firmware updates, including one enabling stereo mode when linking more than one P2 together. 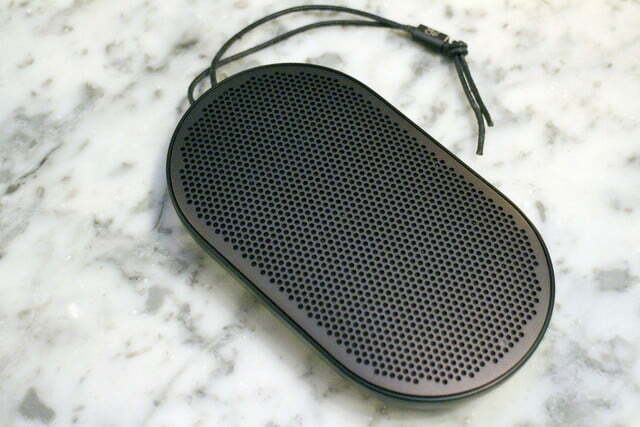 The P2 comes in black, sand stone, or royal blue colors, and a leather sleeve can be purchased separately to keep it safe, plus there’s a leather lanyard strap attached to the speaker’s body. It’s priced at $170, or 150 British pounds, and is available through B&O stores, online, and other retail partners from April 27.